The Imagine! Celebration, set for Saturday, January 26, brings together 500 guests and Imagine! 's mission of creating a world of opportunity for all abilities. 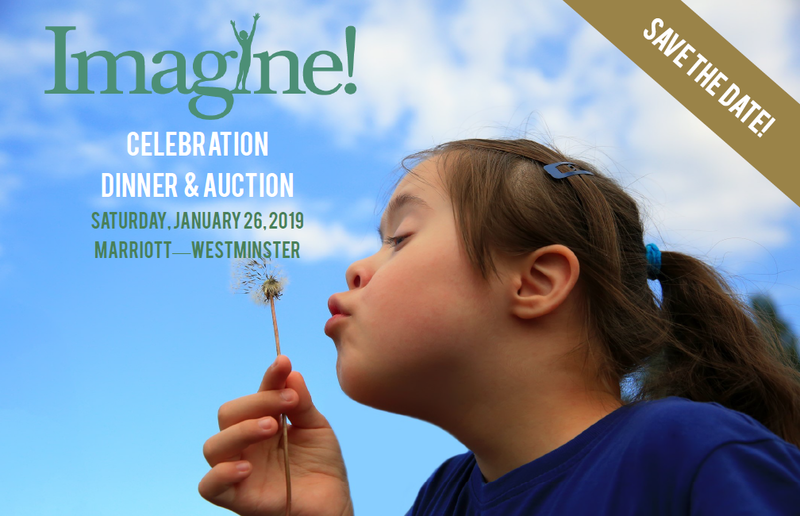 Guests enjoy dinner, a silent and live auction, as well as inspirational stories about people with intellectual disabilities in our community. Funds raised support Imagine! 's programs and services for people at every age and stage of their lives. The event starts at 5:30 p.m. with cocktails and silent auction, and the program and dinner begin at 7 p.m. Please support our many generous sponsors. Get a preview of our live auction. See photos of previous Imagine! Celebrations. An event like this takes a tremendous amount of work. I want to thank in advance the Imagine! staff members and volunteers who work so hard to make the night memorable, and to help create a world of opportunity for all abilities. PS – the event is pretty much sold out, but there may still be a few seats available. If you are still interested in attending and supporting Imagine!’s mission, email Imagine! Foundation Director Patti Micklin.